The D20 saddlebag set is constructed of RF welded 22oz. vinyl that guarantees 100% waterproof performance even when submerged. The D20 also features a rigid core construction that allows the bags to retain their shape even when empty and makes packing and unpacking super easy. Unlike all other saddlebags, the D20's interchangeable center strap is the core innovation that allows the bags to be so versatile. 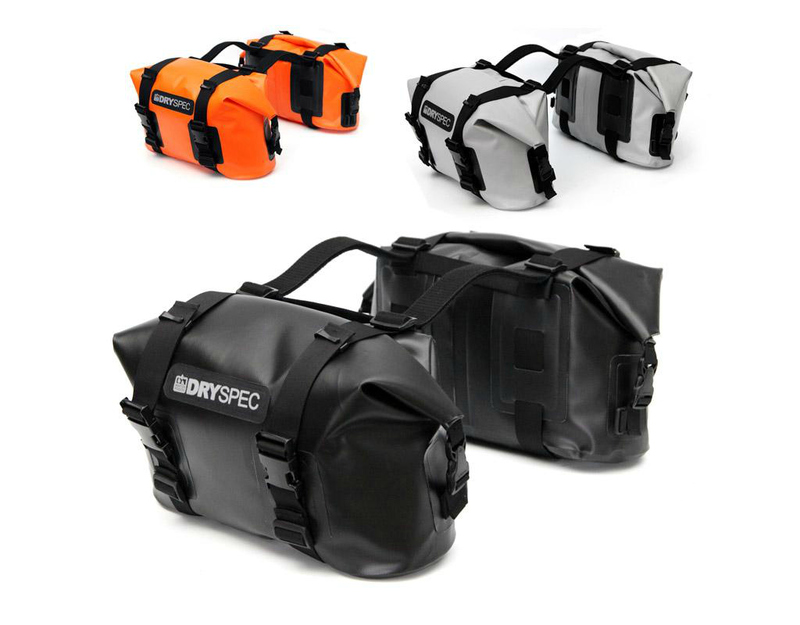 The bags mount directly to a bike with or without sideracks and can attach directly to other D-Series dry bags. Use the Velcro center strap for convenience, the solid nylon strap for extremely muddy conditions, or remove the center strap all together to mount the bags directly to a D28 or D38 dry bag. 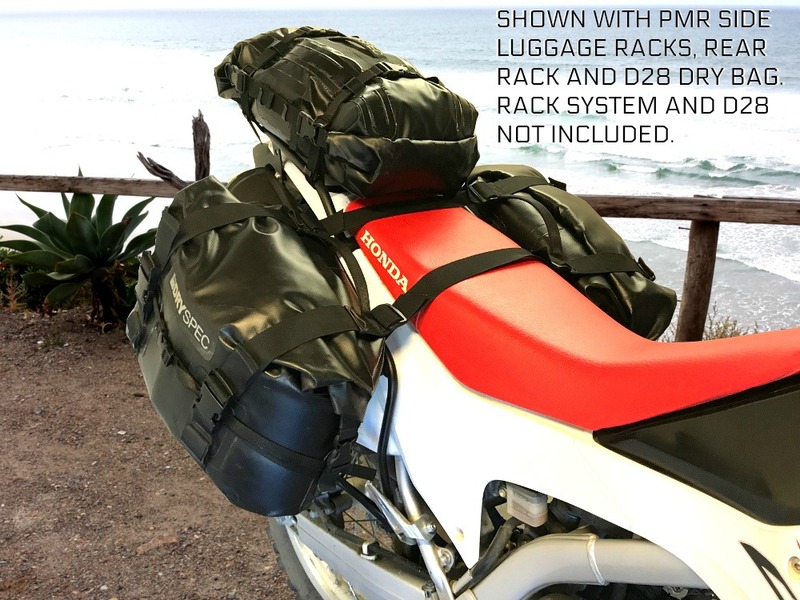 Mounting the D20 saddlebags to the D28 or D38 dry bag is the ideal solution for riders who want the extra storage but are unable to mount traditional saddlebags due to high exhausts.